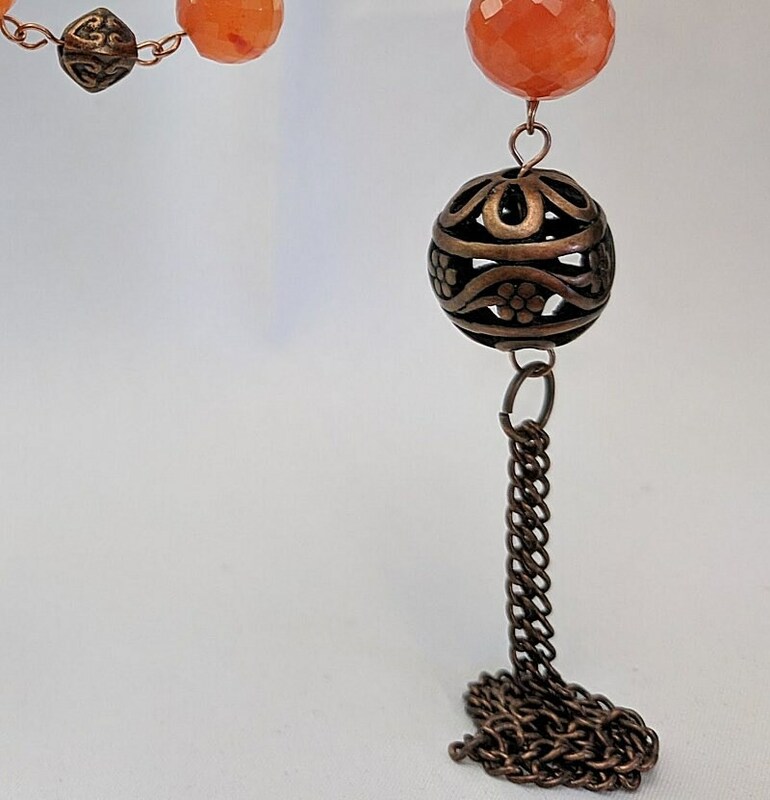 This paternoster has five faceted carnelian beads in graduated sizes (12-10mm)that are interspersed with five 7mm antique copper beads making it a Tenner. 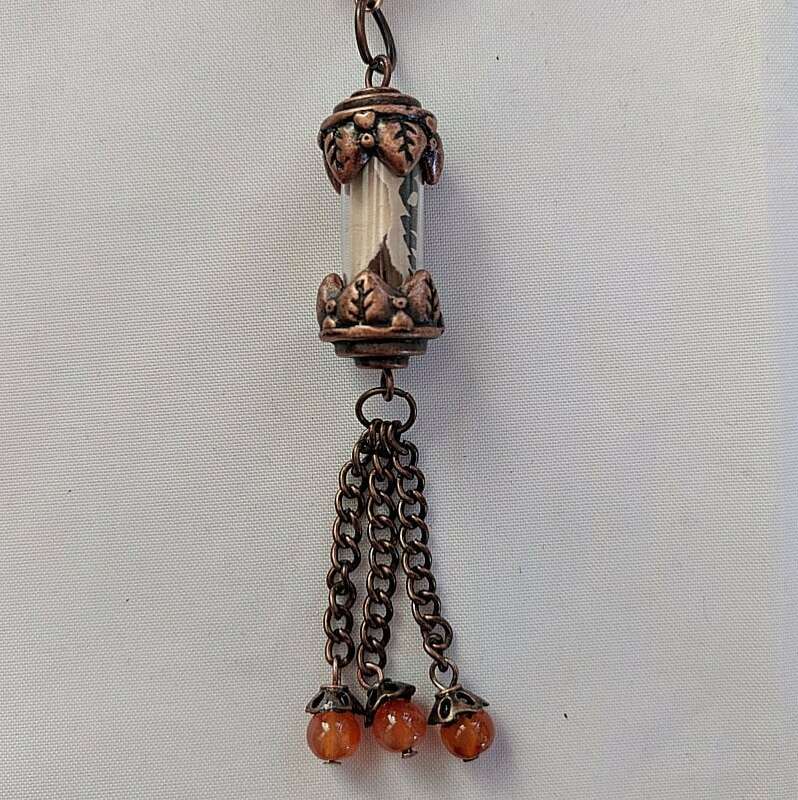 It hangs 15 1/2" from a chain loop that is attached to a 17mm pierced bead that could be used as a pomander. 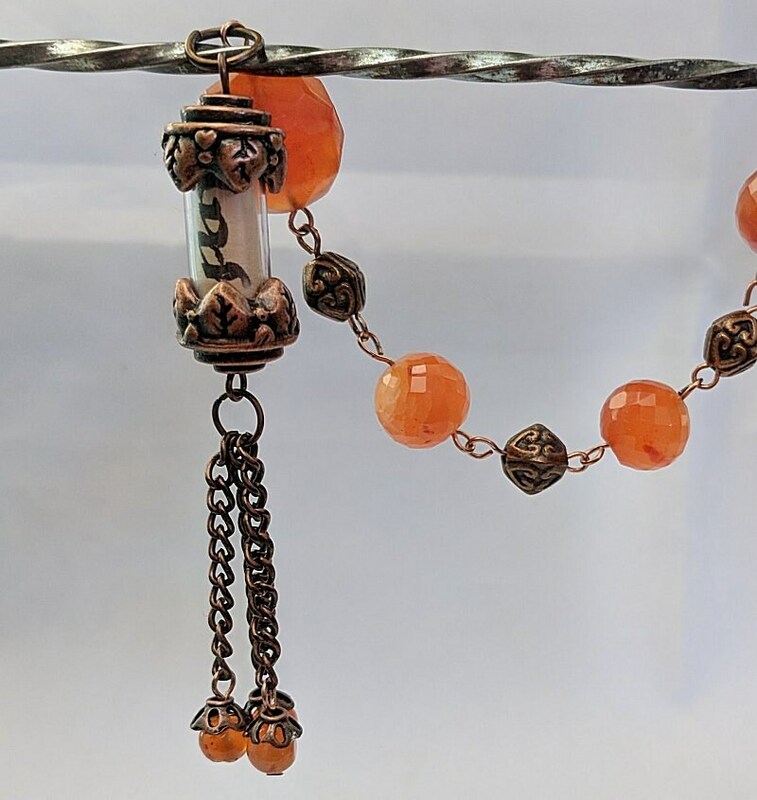 At the bottom is a large 16mm coin carnelian bead and a glass/metal container serving as relic vial to finish these prayer beads. Inside the container are the Latin words for "love" and "peace" (Amor and Pax) on a scrap of paper. NOTE: Many relics in period were fake as it was a popular joke that there were no tress left in the holy land because every crusader came home with a piece of the cross. Among many of the extant pendants with wood inside is one belonging to Charlemagne that is in the Cathedral Treasury, Rheims. CREDO CROSS - The Apostle's Creed can be found in use as early as 6th century. By the end of the 12th century a decree was issued commanding the priests to urge the people to recite frequently the Lord’s Prayer, the Creed and the Salutations to the Virgin. 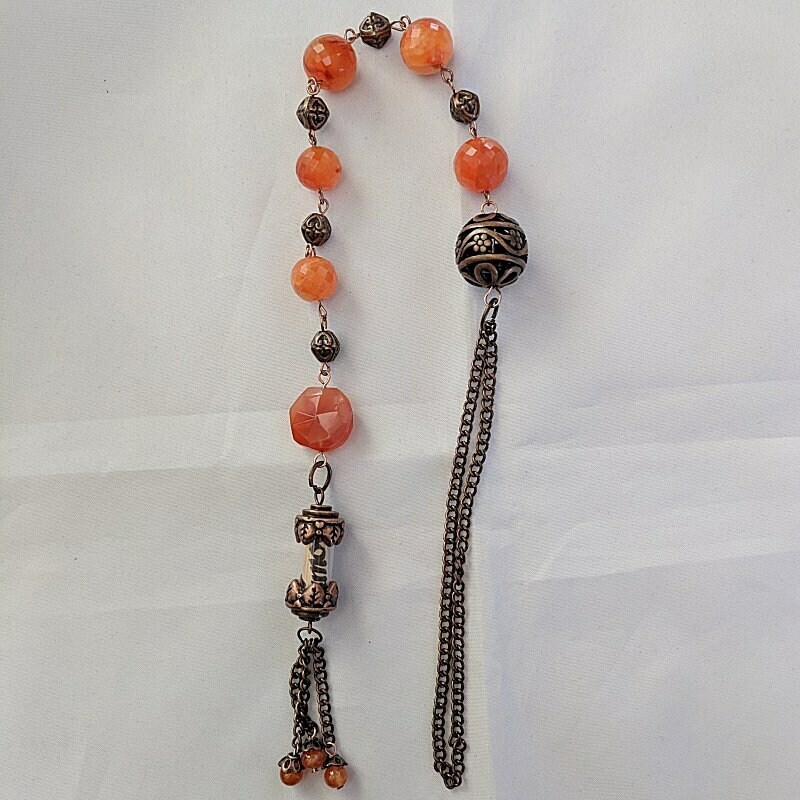 The Creed was usually said on a cross form that was incorporated into the prayer beads and became known as the credo cross. 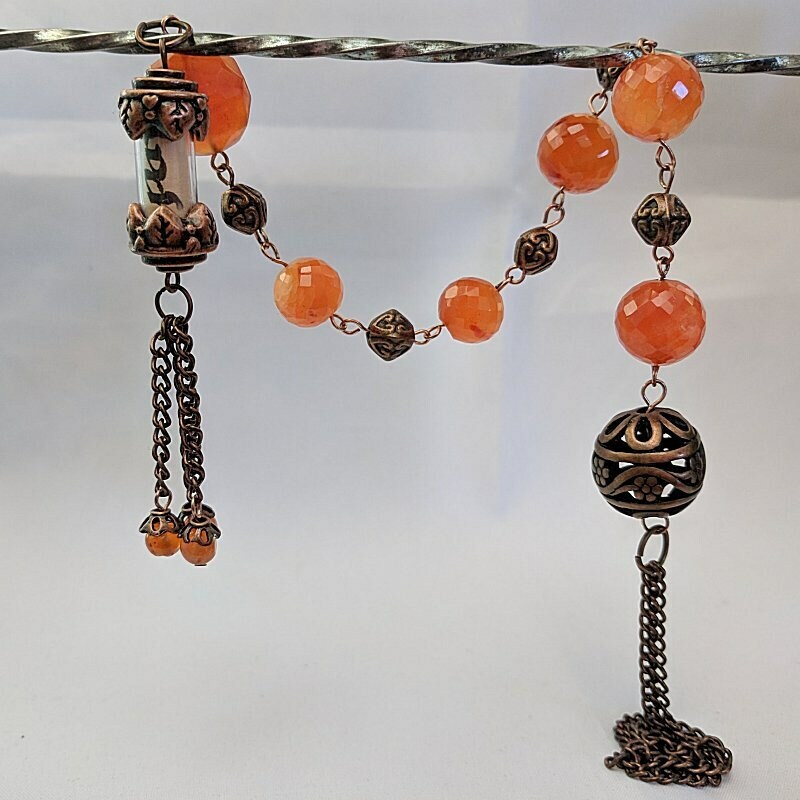 If there was no cross, than another large bead served this purpose.